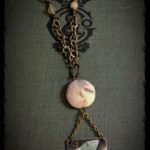 This necklace arose by happenstance. 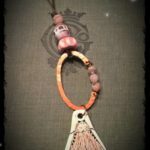 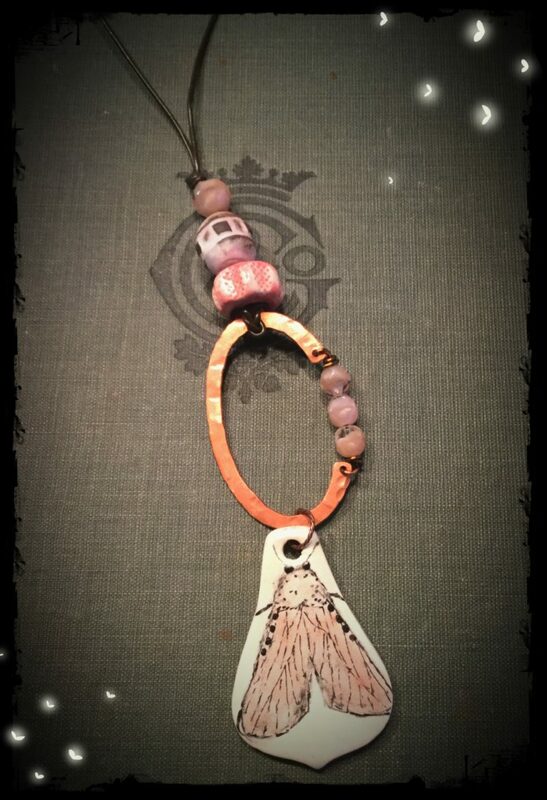 I had made the copper frame with peach beads for another necklace, but when I was playing with some focal beads, this peach moth by Terri DelSignore of Artisticaos insisted on being paired with the frame. 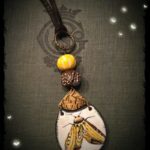 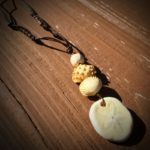 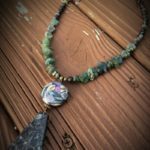 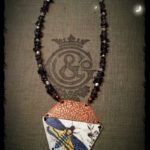 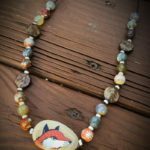 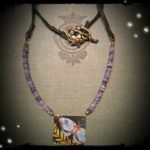 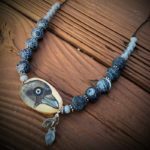 I used faux leather cord to string some matching ceramic beads to the top of the frame and finished off the necklace with adjustable knots.